I found it difficult to imagine what Thailand was like beyond Bangkok. For someone like me who habitually travels to the same cities (out of convenience or laziness), the chance to visit Phuket was both exciting and unsettling. Would it be the same without my usual haunts, the ever-reliable BTS, and retail therapy? As we drove to The Slate, our home for the weekend that’s merely 10-minutes from the airport, I was amazed at how lush the surroundings were – the complete opposite of Bangkok’s welcoming committee comprised of towering billboards, buildings, and highways. The sun shone a little brighter here and the shore was just meters away, with visible waves calling out to us from the hotel car. Once we arrived, I immediately felt at ease. Freshly brewed tea and cold towels greeted us at check in, while the scent of essential oils filled the air. 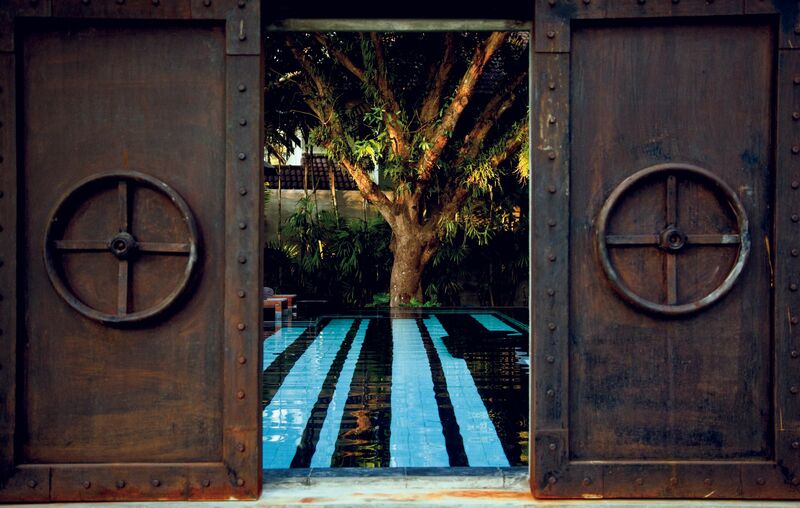 At this point, the stunning Bill Bensley-designed property made me temporarily forget about Bangkok. 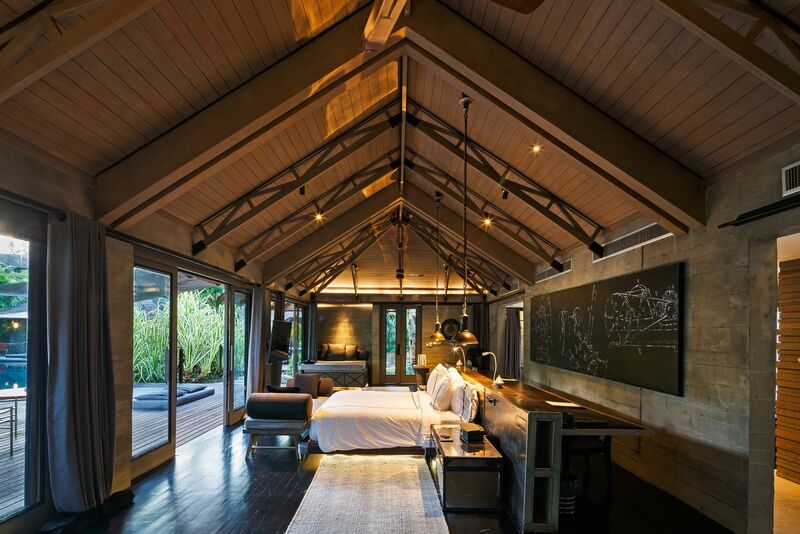 With The Slate’s “all villa, all suite” approach, a mediocre stay is impossible. 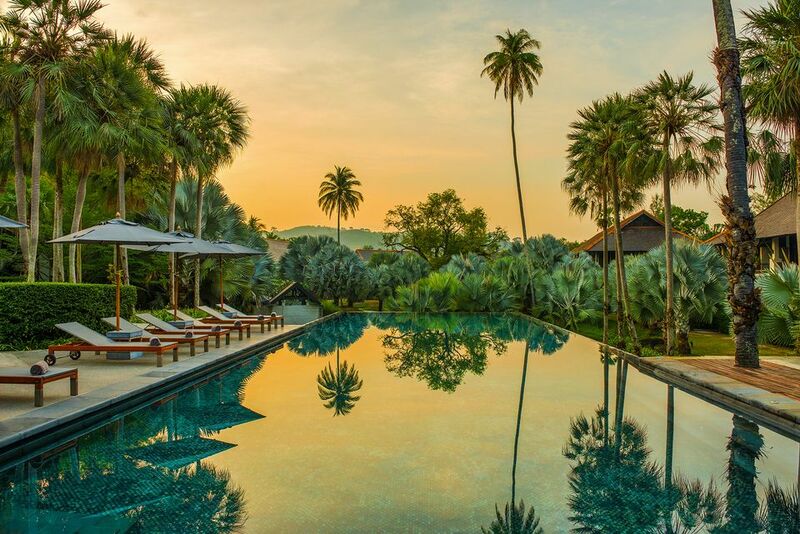 With 177 accommodation choices — ranging from a variety of spacious suites to ultra-luxurious private pool villas — families, friends, couples, and solo travellers can find the perfect place to call their own. Here, the choice is yours: Sink into spacious beds, laze outside on the sunlit balconies, catch up on movies in the living room, or enjoy a Thai massage in the cavernous bathroom that doubles as a spa. 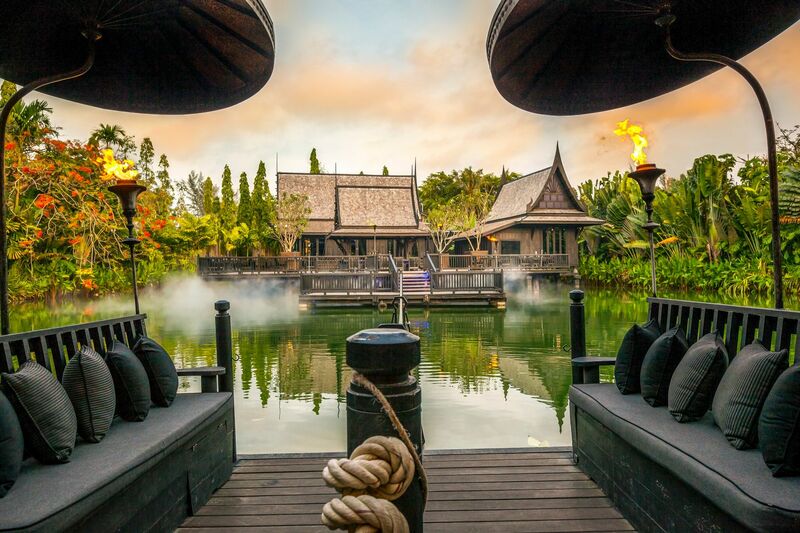 The interior design and décor across the resort takes its inspiration from Phuket’s tin mining heritage, which results in an aesthetically pleasing juxtaposition of hard and soft elements. Timber and metal structures from mining facilities have been given a new lease on life as flooring or playful sculptures. Meanwhile, works by local contemporary artists, as well as fabrics and the local flora are used to soften the edges. While navigating the property might be a little overwhelming and confusing given its size, take it as an opportunity to unearth the gems hidden within. 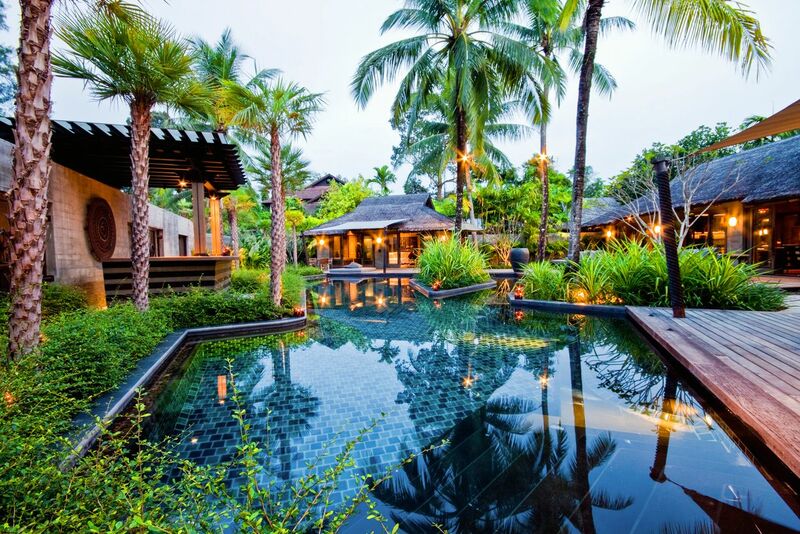 There are three picturesque swimming pools to choose from, while fitness studios, tennis courts, the Coqoon spa, an on-site cooking school, and even an art gallery, are all waiting to be discovered. If travelling to an unfamiliar place presents concerns regarding dining, this won’t be a problem at The Slate, because within the property are over seven conveniently located F&B outlets. Each of the restaurants present different concepts, sure to satisfy whatever you’re craving. 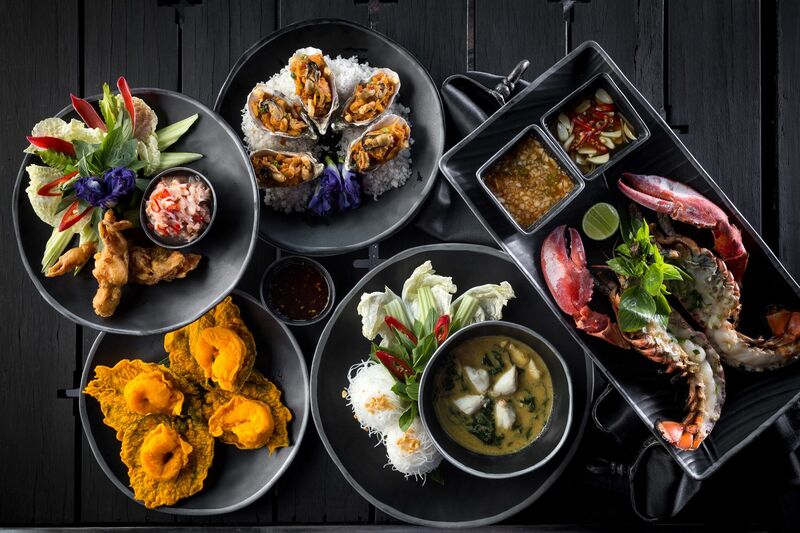 The crown jewel here is Black Ginger, which is loved for its authentic Thai dishes that include lesser-known Phuket specialties. Seafood is the main star here, with the crab curry and grilled lobsters taking center stage. Another crowd pleaser, which draws the residents out from the comfort of their rooms, is Underground. Located next to the resort’s biggest pool, the open air café is the perfect spot for people watching as you sit back, relax, and sip on cold-pressed juices and feast on healthy salads and local specialties. Rivet, which is The Slate’s recently revamped restaurant, comes with a new Japanese menu, created by Chef Toshiyuki Koike of Enzo, a popular Japanese restaurant in neighboring Khaolak. Perhaps still in its infancy, the restaurant’s menu and plating style has room for improvement, and has a lot of catching up to do if it wants to be on the same level of popularity as Black Ginger. 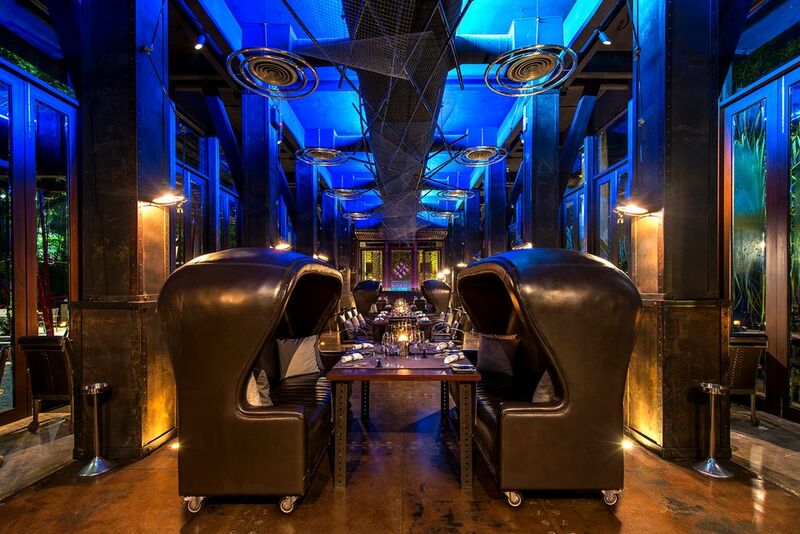 However, there are hits amidst the misses, such as the inventive sushi options and fresh sashimi. Time went by surprisingly quick at The Slate, even if most of our time was spent within the resort. Goes to show that its self-contained environment offers everything a weekend traveler needs. After a restful stay in one of the Pearl Shell suites, coupled with wellness activities, massage treatments, leisurely dining, seaside sunset strolls, and a surprisingly enjoyable cooking class, I realized that a break from the familiar hustle and bustle of Bangkok was something I didn’t know I needed.